September 2018 - MOST CURRENT INFO I try to keep a small selection of coats and jackets as examples of my work but most of these will only be for sale to visiting customers. 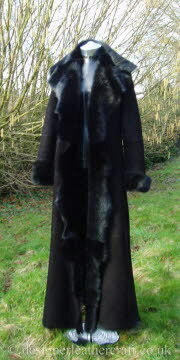 Most coats and jackets will now be made to order. 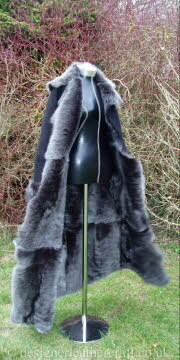 Coats and jackets made to order are not refundable so you must be able to visit my studio to try for size before placing your order. Each order is treated individually so please call me on 07899875525 if you would like to discuss the possibility of a provisional order. 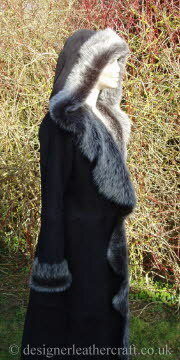 I make only a limited number of coats each year during the spring and summer but will not be taking any more new orders this year as I am still working on a major mobile friendly update to Designerleathercraft. 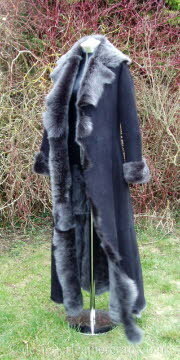 My new design for the toscana coats and jackets is proving to be very popular. 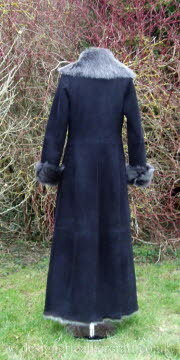 Essentially the same classic design but with some changes to make the coat a more flattering and comfortable shape with a larger collar and the option to order with a large hood. Gorgeous!! 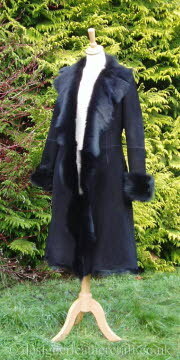 The jackets page and most of the coat pages are now updated with pictures of the new coat design. I am revising the guide price for orders and will publish these when I start to take orders again.